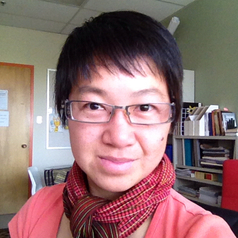 I am an Assistant Professor in the Department of Geography at the University of Calgary. Before academia, I worked as a financial journalist in Canada, the United Kingdom and Singapore. Then a SCUBA diving volunteerism trip in Indonesia led me to question whether local communities are adequately included in "sustainable development" and how to redress that exclusion. This evolved into a PhD in Geography and now my research priority is marginalized populations in marginal space. I study how power affects communication strategies and spaces as the wider context of environmental decision-making. My current research concerns local adaptations to environmental change among Indigenous peoples of the Canadian Arctic and Southeast Asia; my latest effort is a collaborative project of story-sharing and knowledge co-creation in Nunavut.